Most people question the reliability of the Bible. You’ve probably been in a conversation with a friend or met someone in a coffeeshop who said: “How can you be a Christian when the Bible has so many errors?” How should we respond? What do you say? Instead of asking them to name one, I suggest you name one or two of the errors. Does your Bible contain errors? Yes. The Bible that most people possess is a translation of the Greek and Hebrew copies of copies of the original documents of Scripture. As you can imagine, errors have crept in over the centuries of copying. Scribes fall asleep, misspell, take their eyes off the manuscript, and so on. I recommend telling people what kind of errors have crept into the Bible. Starting with the New Testament, Dan Wallace, New Testament scholar and founder the Center for the Study of New Testament Manuscripts, lists four types of errors in Understanding Scripture: An Overview of the Bible’s Origin, Reliability, and Meaning. 1) Spelling & Nonsense Errors. These are errors occur when a scribe wrote a word that makes no sense in its context, usually because they were tired or took their eyes off the page.Some of these errors are quite comical, such as “we were horses among you” (Gk. hippoi, “horses,” instead of ēpioi, “gentle,” or nēpioi, “little children”) in 1 Thessalonians 2:7 in one late manuscript. Obviously, Paul isn’t saying he acted like a horse among them. That would be self-injury! These kinds of errors are easily corrected. 2) Minor Changes. These minor changes are as small as the presence or absence of an article “the” or changed word order, which can vary considerably in Greek. Depending on the sentence, Greek grammar allows the sentence to be written up to 18 times, while still saying the same thing! So just because a sentence wasn’t copied in the same order, doesn’t mean that we lost the meaning. 3) Meaningful but not Plausible. These errors have meaning but aren’t a plausible reflection of the original text. For example, 1 Thessalonians 2:9, instead of “the gospel of God” (the reading of almost all the manuscripts), a late medieval copy has “the gospel of Christ.” There is a meaning difference between God and Christ, but the overall manuscript evidence points clearly in one direction, making the error plain and not plausibly part of the original. 4) Meaningful and Plausible. These are errors that have meaning and that the alternate reading is plausible as a reflection of the original wording. These types of errors account for less than 1% of all variants and typically involve a single word or phrase. The biggest of these types of errors is the ending of the Gospel of Mark, which most contemporary scholars to not regard as original. Our translations even footnote that! There are as many as eighteen second-century manuscripts. If the Gospels were completed between 50-100 A.D., then this means that these early copies are within 100 years. Just last week, Dan Wallace announced that a new fragment from the Gospel of Mark was discovered dating back to the first century A.D., placing it well within 50 years of the originals, a first of its kind. When these early manuscripts are all put together, more than 43% of the NT is accounted for from copies no later than the 2nd C.
Manuscripts that date before 400 AD number 99, including one complete New Testament called Codex Sinaiticus. So the gap between the original, inerrant autographs and the earliest manuscripts is pretty slim. This comes into focus when the Bible is compared to other classical works that, in general, are not doubted for their reliability. In this chart of comparison with other ancient literature, you can see that the NT has far more copies than any other work, numbering 5,700 (Greek) in comparison to the 200+ of Suetonius. If we take all manuscripts into account (handwritten prior to printing press), we have 20,000 copies of the NT. There are only 200 copies of the earliest Greek work. This means if we are going to be skeptical about the Bible, then we need to be 1000xs more skeptical about the works of Greco-Roman history. Or put another way, we can be 1000 times more confident about the reliability of the Bible. 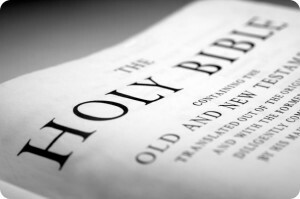 It is far and away the most reliable ancient document. What to Say When Someone Says “The Bible Has Errors”. Contrary to popular assertion, that as time rolls on we get further and further away from the original with each new discovery, we actually get closer and closer to the original text. As Wallace puts it, we have “an embarrassment of riches when it comes to the biblical documents.” Therefore, we can be confident that what we read in our modern translations of the the ancient texts is approximately 99% accurate. It is very reliable. Understanding Scripture: An Overview of the Bible’s Origin, Reliability, and Meaning.